SIDEWAYS follows the adventures of high school junior Derek James who accidentally fell through a rift into the Dark Matter dimension during the events of Dark Nights: Metal. Now, as Sideways, he can create rifts in midair to leap through dimensions at will! But with that much power comes great liability—and cracks are starting to form in the fabric of the space-time continuum. Each leap that Derek takes brings the new hero one step closer to succumbing to the allure of his new power and its dark origins. SIDEWAYS VOL. 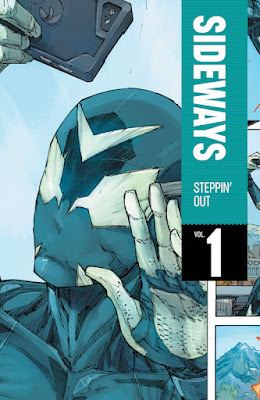 1 collects issues #1-6 of the New Age of Heroes series. 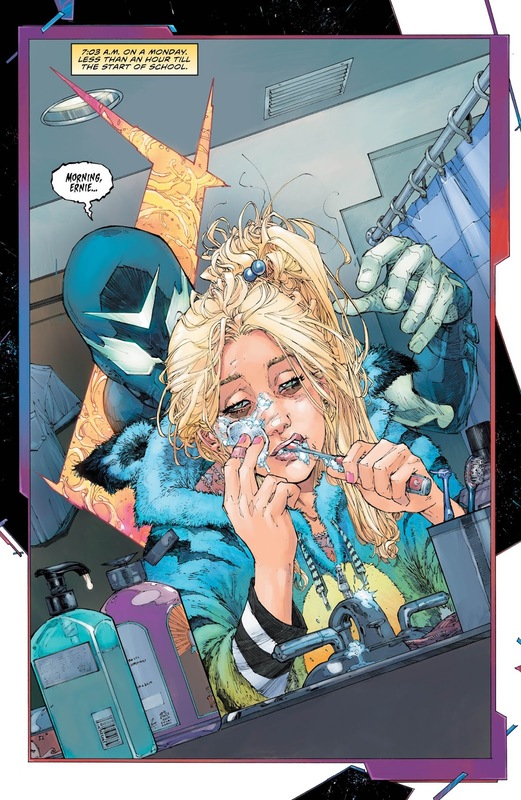 Written by Dan Didio and Justin Jordan, SIDEWAYS VOL. 1 hits shelves on October 23rd for $16.99(USD). As all of you probably already know, I do love DC Comics movies and tv shows but I do also love reading comic books/graphic novels. When I heard about Sideways comic book I just knew I needed to get my hands on it because it sounded like something I would love and so when I finally got my hands on SIDEWAYS vol. 1 I had to read it right away . 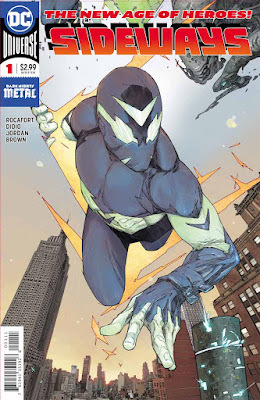 I did enjoy the story and I thought the illustrations could have been a bit better but it wasn't the worst I have seen and it was good enough to keep me reading this graphic novel. All in all, I enjoyed this one and I do want to continue reading more in this series and yes I do plan on purchasing volume 2 when it comes out.